Microsoft Edge by default allows you to print web content using Ctrl+P keyboard combination or UI Print option. As soon as you hit Print option, you’ll be taken to printing preferences window and then you can print as per your requirement. In some special cases, you may need to disable printing in Microsoft Edge. These cases are usually applicable to mass computing environment. To disable printing in such scenarios, you can deploy simple but useful below mentioned registry trick. FYI: This registry manipulation works only on Windows 10 build 17723 or later. 3. Right click Microsoft registry key, select New > Key. 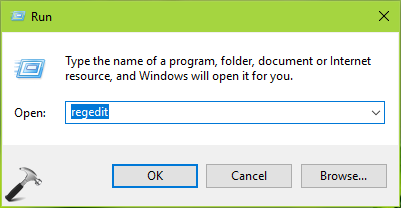 Name the newly created sub-key as MicrosoftEdge. Similarly create Main registry sub-key next to Microsoft registry key. If these registry keys already exists, skip creation of new keys. Now in the right pane of Main registry key (HKEY_LOCAL_MACHINE\SOFTWARE\Policies\Microsoft\MicrosoftEdge\Main), right click and select New > DWORD Value. Name the newly created registry DWORD (REG_DWORD) as AllowPrinting. Make sure the DWORD‘s Value data set to 0 to disable printing in Microsoft Edge. Click OK.
4. Close Registry Editor and reboot to make changes effective. After restarting your system, you’ll find that you can no longer print in Microsoft Edge as Your organization doesn’t allow printing message is there. To allow printing again in Microsoft Edge, simply set the AllowPrinting DWORD‘s Value data to 1 or delete it. So that’s how you can manage printing in Microsoft Edge. Group Policy Setting: If you want to disable printing in Microsoft Edge on multiple machines in your organization/workplace, you can deploy the relevant GPO setting. Change Allow printing setting at Computer configuration > Administrative templates > Windows Components > Microsoft Edge to Disabled.